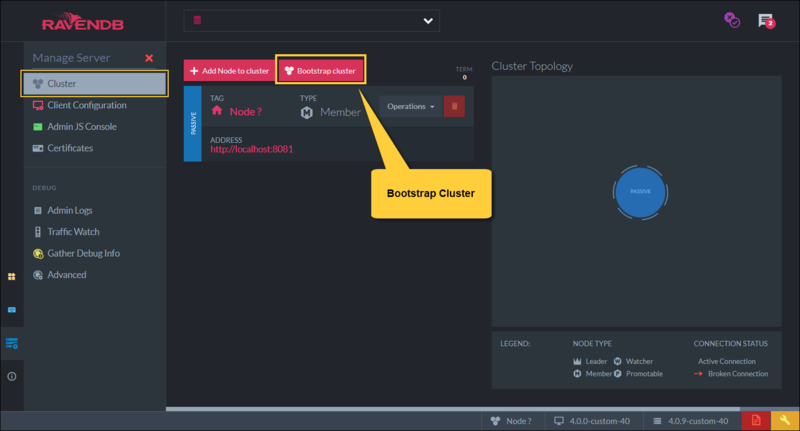 Click 'Bootstrap Cluster' to make the current passive server a part of a cluster. Note: This option is only available when the server is in the Passive state. This operation can also be done programatically. Read more here. 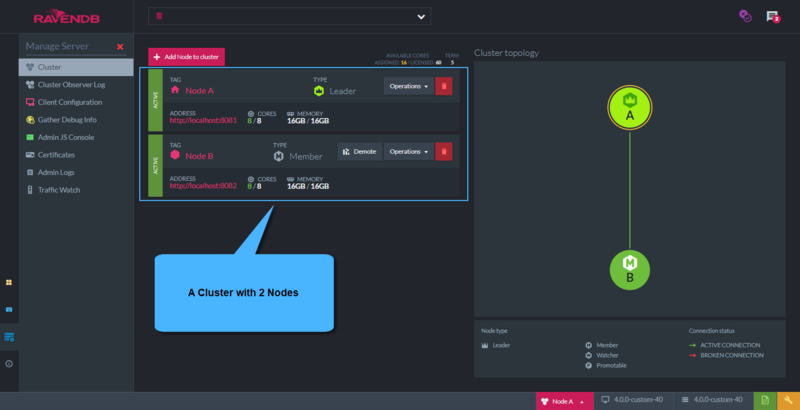 The server running on localhost:8081 shows as Node A and is the Leader of the cluster. 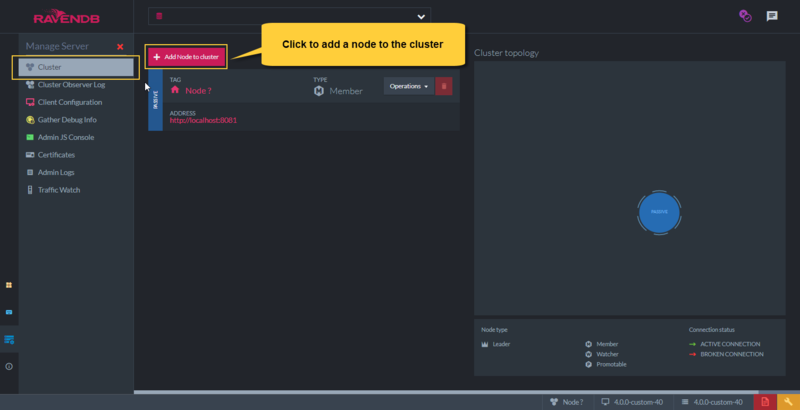 The server running on localhost:8082 shows as Node B and is a Member of the cluster. 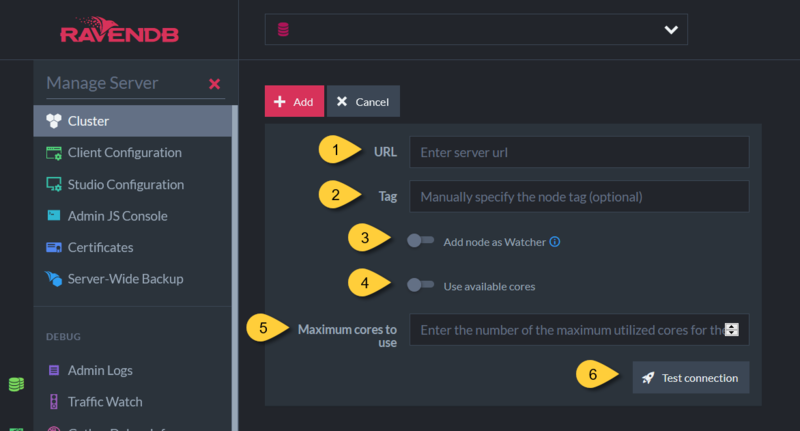 More nodes can be added as needed.